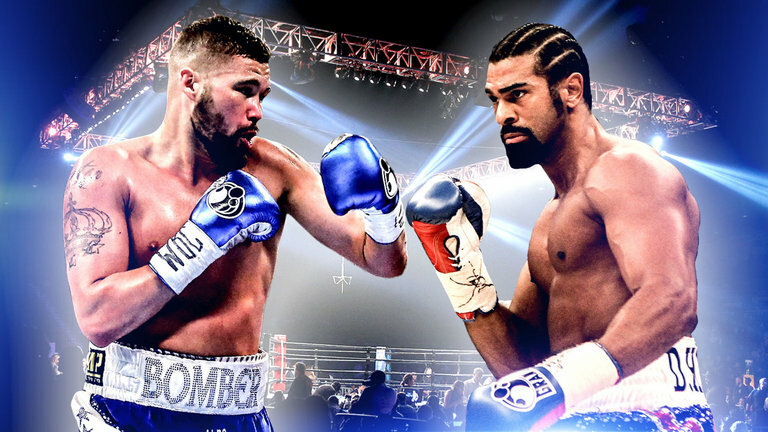 The rematch between Tony Bellew and David Haye has been confirmed to take place on Saturday 5th May 2018. On the same night, there will also be another huge rematch as Gennady Golovkin comes face to face with Canelo Alvarez. Once at the top of the heavyweight division, David Haye took a lengthy break away from the boxing ring after his victory against Dereck Chisora in 2012. Just a year earlier, Haye lost his WBA heavyweight title to Wladimir Klitschko. Overall, he boasts a pretty impressive record – 31 fights with 3 losses since making his professional debut in 2002. But since then, Haye has fallen down the ranks after being overtaken by the likes of Anthony Joshua. In his first bout against Bellew back in March 2017, Haye suffered from a serious injury. 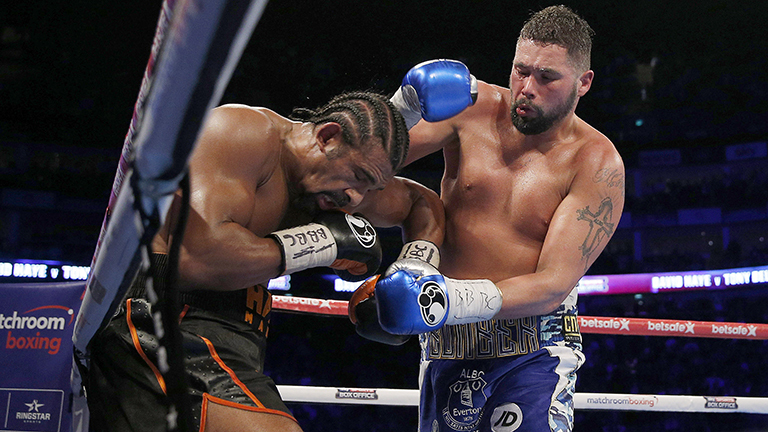 Despite this, Haye fought on courageously, but it wasn’t enough to earn a win against Bellew. As a consequence of his injury, Haye spent a lengthy amount of time out of the boxing ring as he looked to recover. “The injury is healing well and the operation was a flying success. I’ve worked every day to make sure I’m not just as good but better than before. I’m punching already, doing pull-ups, press-ups, everything I could do before. “What happened last time to postpone the fight was a freak accident, like getting hit by a car, there’s nothing you can do. Unfortunately, it happened and thankfully the rematch got rescheduled. “Tony wants this as much as I do, the first fight was an epic battle, edge-of-your-seat stuff, and I think the fans will have another fantastic showdown. “I was a huge favourite the first time around, he said my body will break down, he will take over and stop me and that’s exactly what he did. However, I know I still have a lot more to give. 5th May looks set to be a massive day in the boxing world, and we’re sure looking forward to it. Until then, we’ve got Anthony Joshua putting everything on the line against Joseph Parker this March.